Expats are welcome in our Bike Shop. 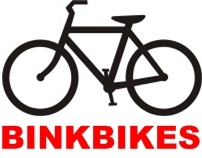 We are the bike specialist with the best Google+ rating in The Hague. We know bikes. We speak English. You are welcome. 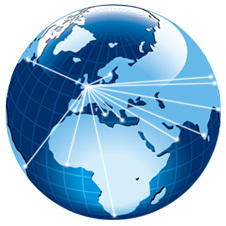 Our goal is to deliver you the best possible service and highest quality products. > Basically we can supply any type and model. We allways have a number of good quality used bicycles in store. We purchase bicycles and we offer a good price. Not customer friendly. I tried to get attended and I got asked to send an email instead of taking note of my request. Edition: Thanks for your reply. I already went to another bike-shop where I got attended without me having to take notes for them. All it took was to change the tires to a 700*28c. Pretty simple, nothing special. I'm sure you attended in a perfect manner more than 250 clients, for sure you deserve your 250 positive reviews. That's why I encourage you to take my one star review as something constructive and don't get blinded by your nice previous reviews, otherwise maybe I even wouldn't bother to write a review. Maybe try to find what were you doing different, which approach you had towards the client, don't focus just on the procedure, because the client usually don't want to feel like a step in a procedure and be send back home to write down what he's showing you in a photo on his phone. Suggestion: If you will very strongly to take orders in a digital format but you still want to keep a physical store, did you consider installing a tablet and helping the client to enter the order? In that way clients who aren't sure about what to write in the order will feel attended.